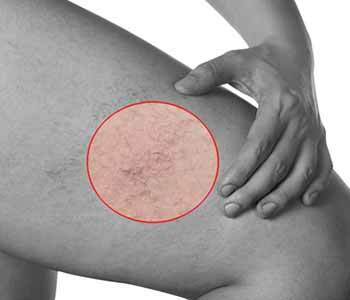 Patients in La Mesa, CA who are bothered by spider veins can turn to the Board-certified dermatologists at Grossmont Dermatology to learn what to expect from sclerotherapy. Often a treatment of choice for spider veins, sclerotherapy involves injecting a solution into the vessels. The solution irritates these vessels and causes them to collapse and eventually be absorbed by the body. Sclerotherapy is performed in the physician’s office and does not require general anesthesia. The amount of time and the number of injections needed depends on the number and size of the veins being treated. Prior to a treatment, a patient’s medical history is reviewed to check for prior or existing medical conditions, current medications, allergies, and previous treatment for spider veins. During the procedure, the patient lies on his or her back with the legs slightly elevated. The treatment site is cleansed with alcohol. The doctor injects a solution into the targeted vessel with a fine, sterile needle. This solution irritates the lining of the vein and causes it to collapse. Over time, the vein fades. Some patients may notice minor stinging or cramping during the treatment. Band-Aids or compression pads may be taped to the injection site. Although downtime is not required, patients may be advised to avoid strenuous exercise for the first week after the procedure. Walking is recommended. Patients notice improvement in the visibility of their veins within a few weeks of treatment. Sclerotherapy is done for cosmetic reasons to improve the appearance of spider veins. To learn more about the treatment, contact the Board-certified dermatologists at Grossmont Dermatology Medical Clinic. Call (855) 977-4949.